Experience the excitement of back-to-school with this fun wool project. 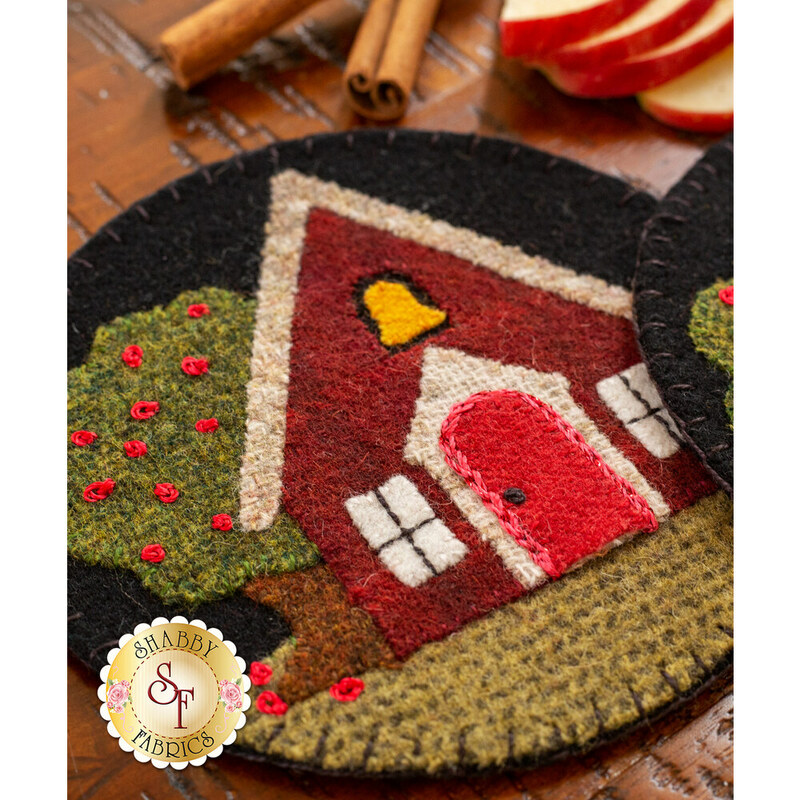 In the Wooly Mug Rug for September, an adorable schoolhouse sits upon a hill next to an apple tree reminding us of the perfect early autumn days we love. Mornings are crisp, afternoons are warm, and apples are ripe for the picking! Perfect for beginners, our Wooly Mug Rug Series has everything you need to make themed mug rugs monthly. Each mug rug is created by our team of in-house designers and is a Shabby Fabrics Exclusive. Each kit makes 2 mug rugs. Download the Wooly Mug Rug September Diagram HERE! 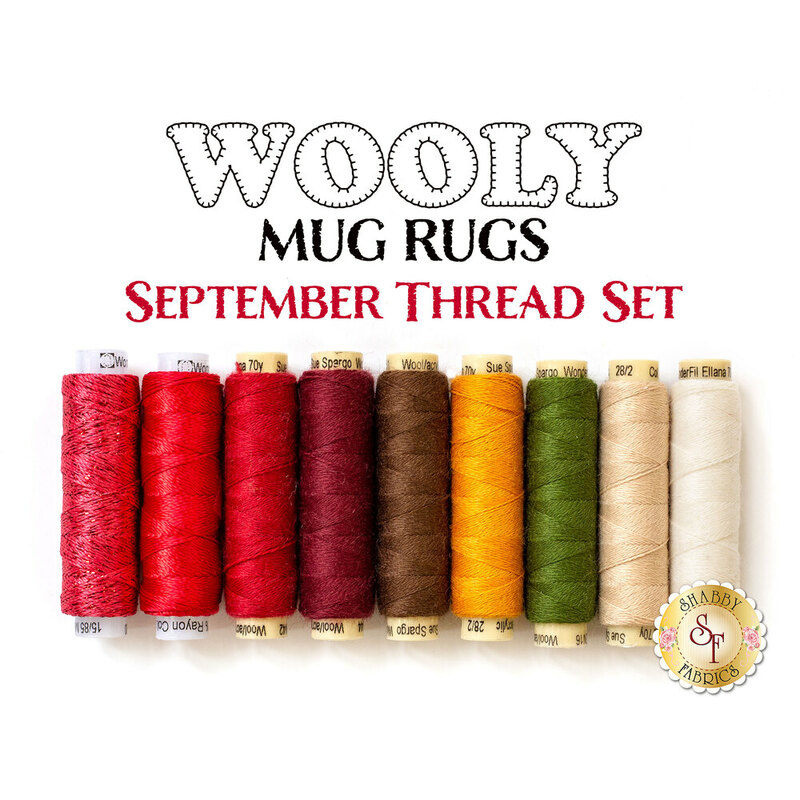 9pc Wooly Mug Rug September Thread Set - Coordinated Ellana wool threads, Dazzle thread and Razzle thread add that extra special touch to your mug rugs! Already have some of the spools? Threads are also available individually!